Davao City is "filled to the brim", so to speak, with tourist attractions and world-class facilities for guests to enjoy while on vacation, tour, or business in the City. And what a more convenient way to explore and experience life in Davao than riding in taxi cabs. 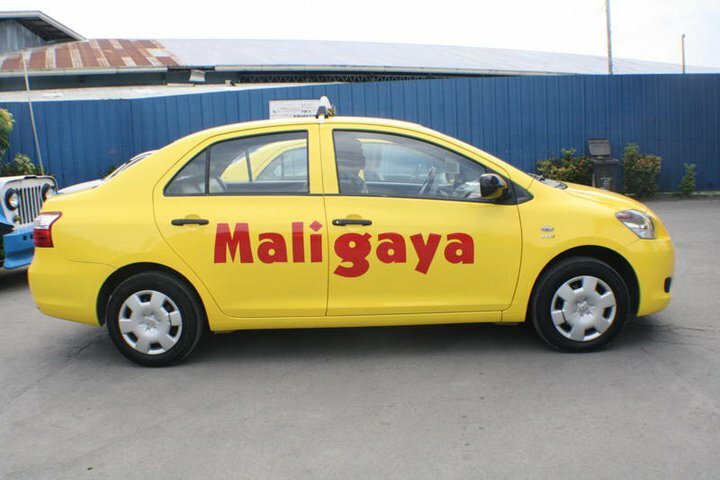 In the Philippines, it is common to see taxi cabs in yellow or white. 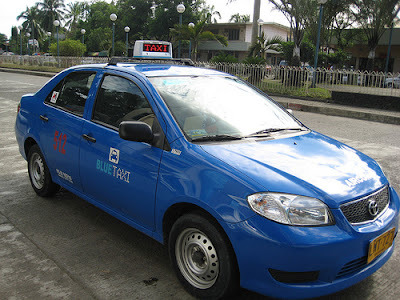 But in Davao City, taxi cabs come in different shades of white, yellow, blue, orange, or even black and violet! These colors in vivid hues perfectly mirror the Davaoeños vibrant outlook and attitude in life, and, of course, the City's colorful history as well - from its humble beginning, to its impressive progress over the years. 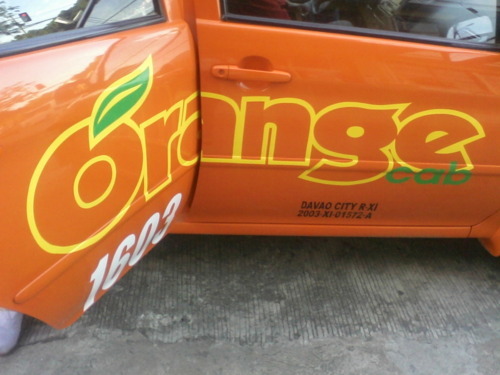 Today, there are close to 5,000 taxi cabs that now ply the city streets of Davao. But, there is definitely more to here than colors - Davao City takes much pride of having the most passenger-friendly taxi cab system in the country. It is not uncommon for passengers to find their left baggage or valuables returned safely to their very doorsteps on the same day, nor is it a surprising fact to expect an exact change to the last peso. There is hardly any negotiated fares within the City. Except for out of town trips, taxi cabs are strictly metered. I remember well in 1999, when I again set foot in Davao City on a business assignment, after some 34 years had past since I was in the City in 1965 (I was 2 years old then) with my mother and father who was also visiting Davao on a business trip, Nelson, an associate from our Davao branch office, came to collect me from the old Davao International Airport in Sasa from where we took a cab and headed straight to the office to meet my staff. I handed out our fare to the taxi driver in the total amount of 70 pesos, broken down in one 50 peso bill and one 20 peso bill since the fare totalled 65 pesos. Surprisingly, the driver immediately handed me the 5 peso change, and when I told him to keep it as a tip for bringing me and my companion safely to our destination, he simply smiled back at me and cheerfully drove away. Naturally, I asked Nelson if it was customary in Davao for taxis to decline such a tip. He explained that tipping a taxi driver is highly discouraged as a matter of policy to prevent a precedent in negotiated fares. Back in the 1960s, Davao City used to have black Mercedes Benzes as taxi cabs but were later recalled after a local car distributor-dealer complained of their image being debased from the use of their cars as taxi cabs. 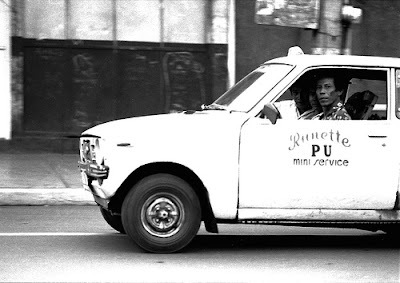 And at one time in 1970s, taxi cabs disappeared in Davao City as well as in other cities in Mindanao and were later replaced by Mitsubishi Minicas, popularly called then as "PUs" or Public Utility. However, as Mindanao was rapidly growing economically in the 1980s, the demand for public transportation also increased. 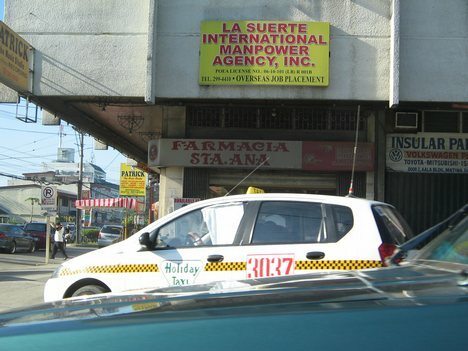 Hence, taxi cabs were re-introduced in the early 1990s but many people were reluctant to part with the PUs that only charges 10 pesos anywhere within downtown of the city. 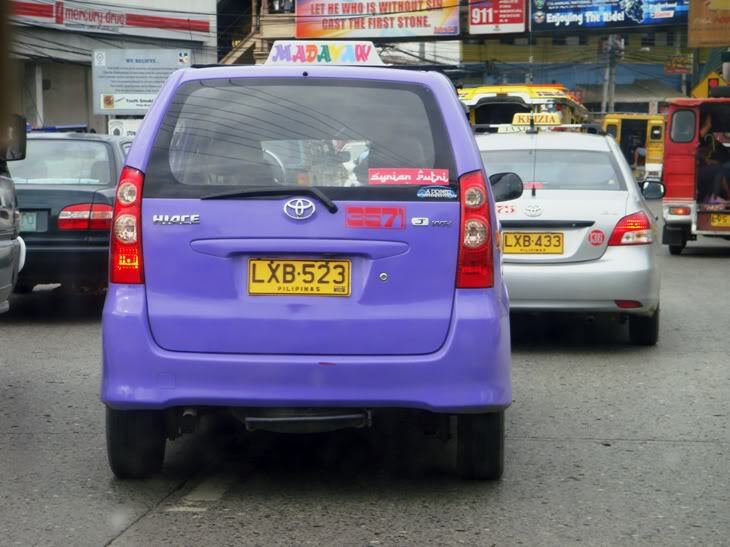 In the years that follow the re-introduction of taxi cabs in Davao City, local taxi companies became the first throughout the country to install two-way radios on their taxi fleets and, years later, many other cities in the Philippines followed suit. 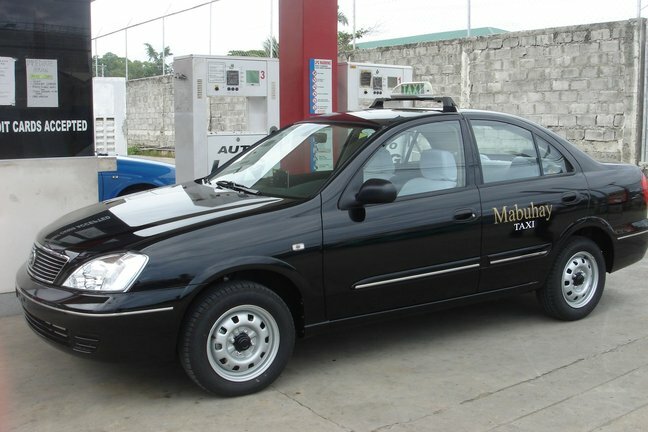 In fact, Mabuhay Taxi, a Davao City taxi company, was the first in the Philippines that introduced LED top lights, and was also awarded Most Outstanding Taxi 2005 (Philippine Advertising Excellence Awards) 24 Hours Radio Taxi Dispatch Service in Davao City. With technology and gadgets flooding mainstream society, taxi cabs have also installed GPS (Global Positioning System) units as well as TVs and DVD players and passengers can now relax and delight while going around the City free from dust and fumes because all taxi cabs in Davao City are also air-conditioned. Taxi cabs remain the best option and the fastest means to get to a destination. It is more convenient now to get a taxi cab than before since most are just a call or text away and can easily pick-up passengers anywhere in the City. 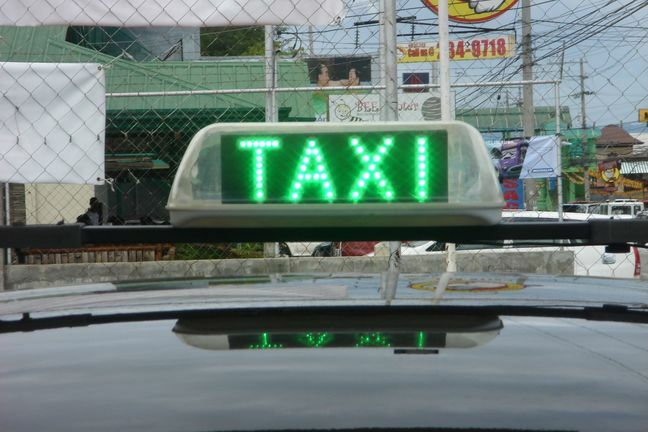 If one does not have their contact numbers, several taxi cabs are available 24/7 roaming around the city streets and simply waving a hand will signal them to a halt. At night, a taxi cab is available or empty when its top light is RED, otherwise, the taxi cab is occupied when the top light is off. Of course, comes with the convenience is the price. Taxi cabs usually charge a flag down rate which will add up for the next 500 meters. After the first 500 meters, another will be charged for every 300 meters traveled. When the taxi cab stops, a charge will also be added every 2 minutes. In other words, taxi fare will incur bigger when stuck longer in traffic. It is wise to inform the driver beforehand of the street address, color of the gate and other information that will help him locate the destination and choose roads that are not busy and have lesser traffic. An additional drop off would mean additional flag down rate. Taxi cabs are also available for hire for a whole day use at a negotiated price depending on the distance and itinerary for the day. So, whenever your budget allows, go for taxi cabs. In Davao City, you do not have to worry about taxi drivers choosing which passengers to pick. 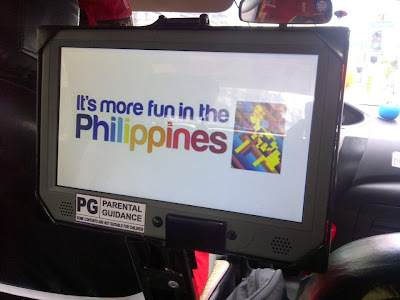 Have a pleasant taxi ride when in Davao City! Wow, it is really more fun in the Philippines. Taxis are the best option for travel within the city. 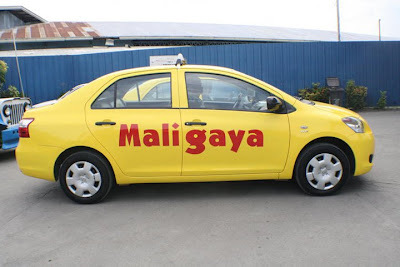 You can hire a Yellow Taxi which will drop you with comfort and within the time.